Parts one and two follow the journey from our home in northern New Jersey, to just below the New York State line where this image was taken. 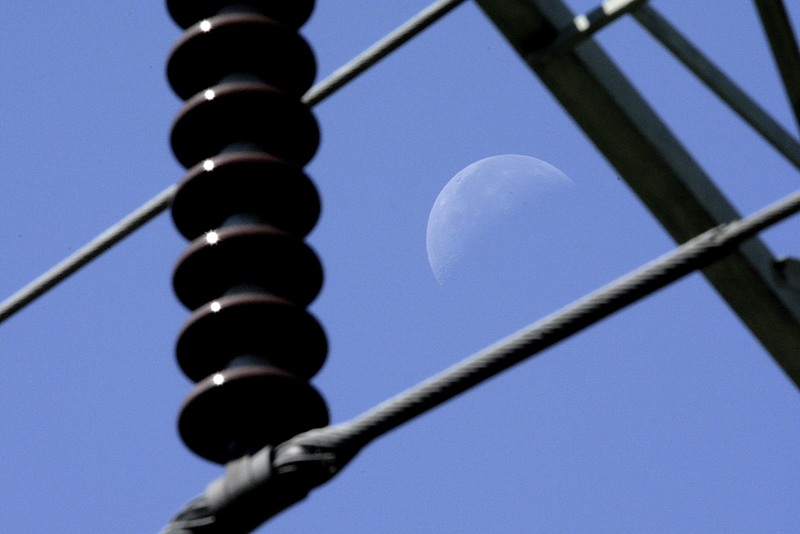 A connection with this 138,000 volt transmission line and the moon will be noted at the end of this post. 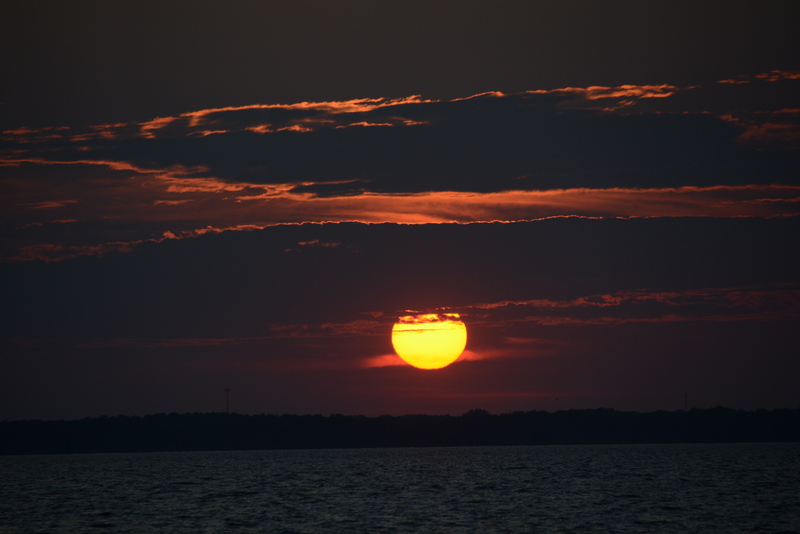 From our neighborhood ….along the local distribution grid …and through two sub-stations, we follow about seven miles to where it comes in from New York State, from the north. A few miles further, these towers meet up with others at a significantly larger sub-station which fans transmission lines out in several directions. A primary “incoming” feed, is seen below. Here is a close-up of two cables bonded together, presumedly at the same alternating current phase, …for those of you who worry about such things. Each is about a closed fist in diameter and insulated only by the air. 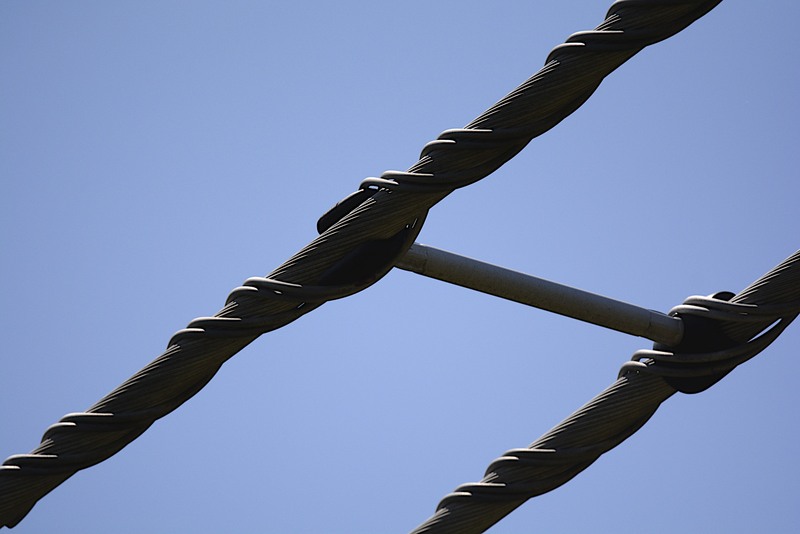 The larger spiral wires simply hold the cables to the brace. Heading south (right in this image,) over hills and valleys from Tomkins Cove, these imposing mono poles transfer the power lines from the western end of the trans-Hudson span (out of sight to the left.) The frame transmission tower in the background is not directly related. 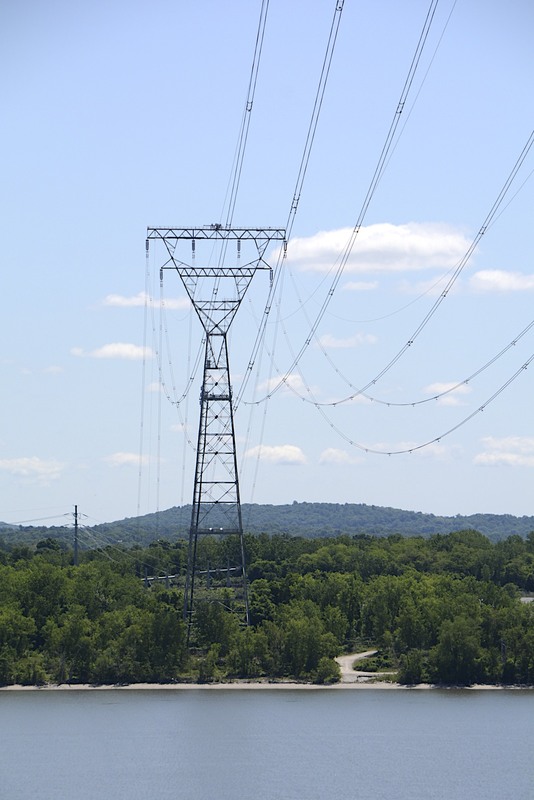 Standing some 475 feet (148 m) high and separated by nearly a mile (1.6 km,) these towers carry 500,000 volts or more across the Hudson River…. The top hand railing seen in both the photo above and those below indicate scale: about 4 feet (1.2 m) high. Note the relative size of the insulators! 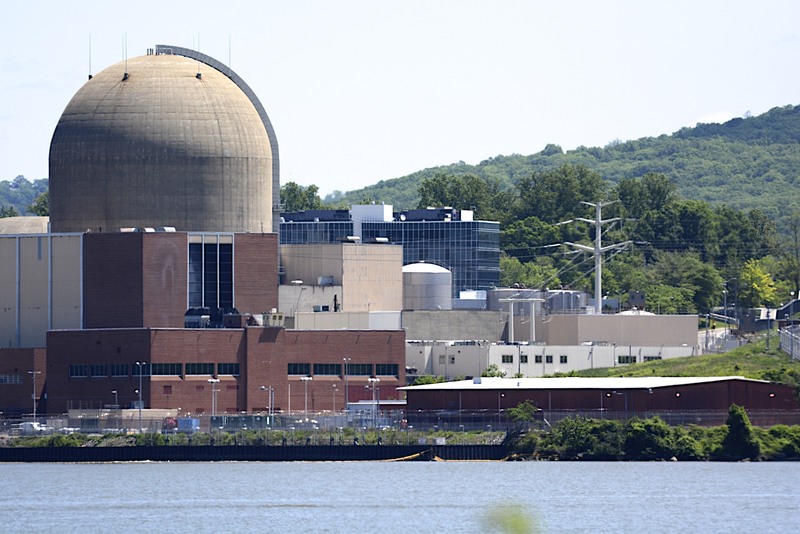 About a mile (1.6 km) left of the eastern tower are the two reactor domes of the Indian Point Nuclear Generating Plant, in Buchanan, New York. 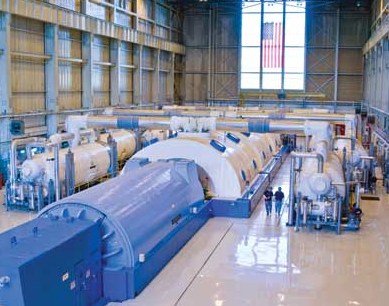 The magnetic-induction generators within, produce a three phase AC potential of several thousand volts, which is immediatly STEPPED-UP through transformers to the half million to 750,000 volt conductors exiting the plant. The lines coming out of the building just right of center, and to the transmission tower behind, mark the start of the transmission lines traced by this series. 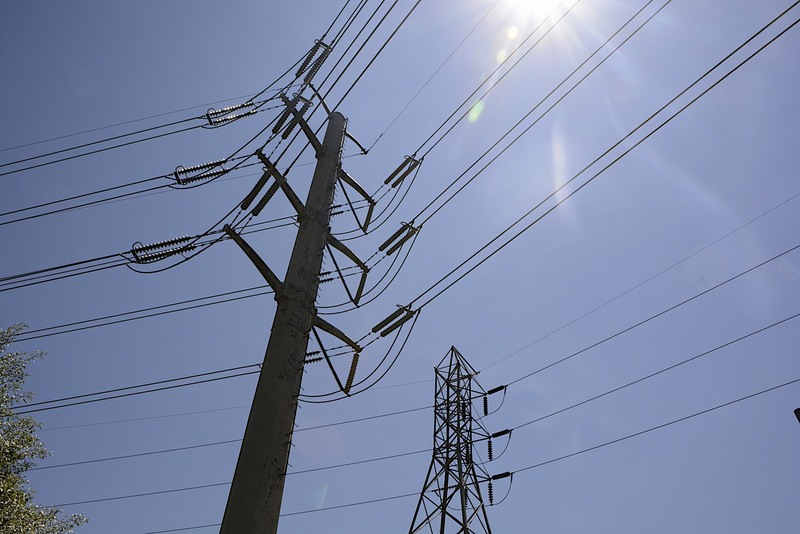 Others feed Westchester County and parts of NYC… with significant presence also on the North-East U.S. regional grid. Technically: Inside Indian Point. An alternating current is produced in three phases, induced in coils of wire moving in strong magnetic fields within these generators. Relative movement must occur between the magnet assemblies and the coiled wires. The resulting electromotive force is measured in volts, and leaves the generator first at a few thousand, then stepped up, via powerful transformers, to 500,000 to 750,000 volts for transmission… and for our use, sent across the Hudson River! The relative movement mentioned above is provided by a shaft directly connected to a steam turbine that spins the magnets, (or visa versa, the coils,) within the generator. Technical Morass Follows: The steam is is produced in a kettle in which Hudson River water is heated via a water exchanger. That water, which is in a closed system, and highly pressurized, surrounds the reactor vessel where a form of slightly enriched uranium dioxide is fissioned by neutrons (usually under initial coaxing,) releasing heat energy and more neutrons to sustain a controled chain reaction. Spltting atoms! Uranium “pellets” are bundled as fuel-rod assemblies within the reactors core. 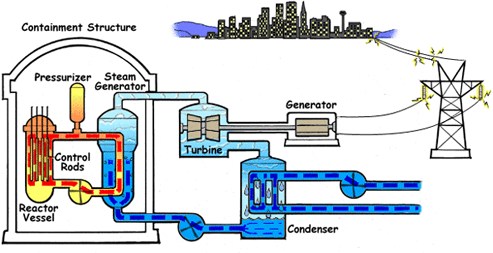 Basic Summary: Simply, heat energy from unranium fission heats river water to make steam that turns the turbines that spin the coils (or magnets) in the generator, producing the dance of electrons –>electricity! 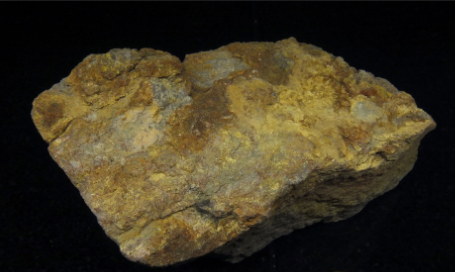 FINALLY, (Thank Goodness,) naturally occuring uranium and the earth itself, with its myraid forms of latent energy, originated as a spin off from our sun 4.5 billion years ago. For now, and for the purpose of this project, the source of my warmed toast, is…the Sun. It’s all amazing, and amazing how we naturally take the science, (physics, chemistry etc.,) and resourceful human ingenuity …for granted! Disclaimer: Not being an electrical engineer or public utility employee, some values may be slightly different than stated, but should give a general idea of the actual grid and electrical generation. Any “system” or statistical corrections will be most appreciated. With the exception of the I.P.Generator, the diagram and the uranium ore above, all photos in this series were taken by myself. General information, and those three photos are greatly apprieciatiated and obtained from various sources, including the internet. Additional information about this is available if requested. Well done, MV! I learned a lot from your series.